Vanuatu is a well known honeymoon destination and family vacation spot. A trip there will no doubt provide you with those envy-inducing holiday snaps that you see in all the postcards. The kind filled with sunset beach walks, hand-in-hand and champagne fueled dinners on the deck of some brand new 5 star village-sized resort. So what’s there for dark tourism? Quite a lot actually. For those unsure, dark tourism is tourism involving travel to places historically associated with death and disaster. This can be anything from a humanitarian catastrophe, like the 2004 tsunami, through to a memorial site, such as the Cambodian Killing Fields. Since the term was first coined in 2000 the industry has become increasingly mainstream, due in part to the popularity of Netflix’s 8 episode documentary ‘Dark Tourist’. Plenty of research has gone into this phenomenon but none we know that details exactly what Vanuatu has to offer the dark tourist. Firstly, Vanuatu has been named the most disaster prone country in the world. Twice. As well as earthquakes, tsunamis, and tropical thunderstorms, Vanuatu experiences a cyclone season every December through to March. In 2015 it was struck by a category 5 cyclone, the largest recorded in history, where 75,000 people were left homeless. The effects of cyclone Pam can still be seen today, especially on the islands of Efate and Tanna where buildings, roads, and infrastructure were flattened. 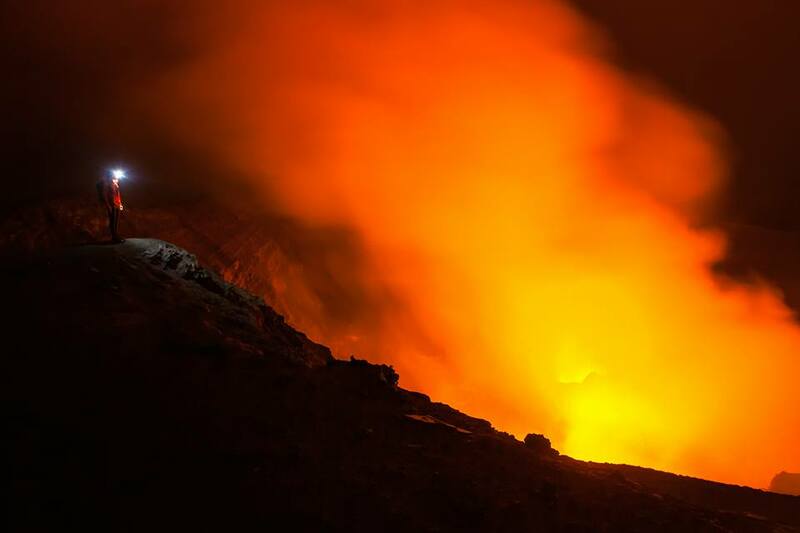 Vanuatu is also home to many active volcanoes and arguably the most easily accessible active volcano in the world. It isn’t that it’s easily accessible to get to, but once you’re there you can stand as close as you like to the volcano’s crater as it erupts several times an hour. The 2015 movie Tanna, featuring the volcano, tells the true story of a couple who decide to marry for love instead of following their parents’ wishes. Unable to be together in life, they decide to stay together in death and poison themselves at the edge of the fiery crater. Standing on the edge of Mt Yasur. 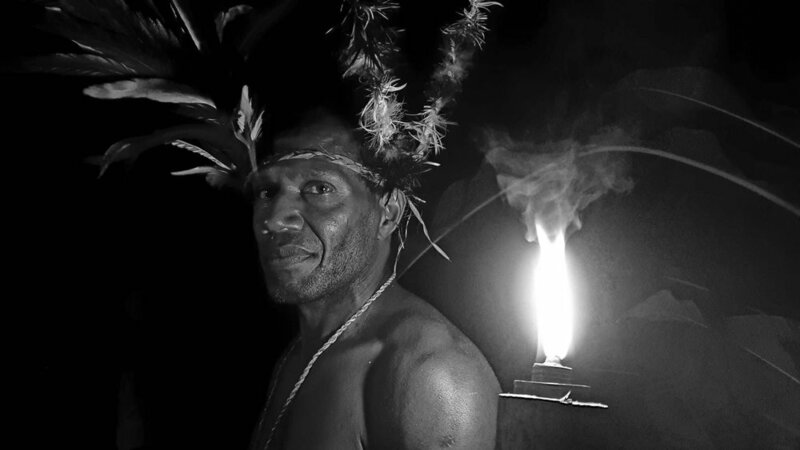 Secondly, Vanuatu has a long history of witchcraft and black magic with most Ni-Vanuatu continuing to practice these ancient rituals to this day. On the islands of Tanna, Ambrym, and Malekula you can witness black magic shows for yourself and learn about their (recent) history of people going to trial for killing with the use of witchcraft. Be careful though, as Ni-Vanuatu are very sensitive about discussing this topic to foreigners and will remain quite secretive unless they feel they can trust you. As well as being infamously linked to sorcery and witchcraft, the island of Malekula is widely known as the home of the last cannibal tribes of Vanuatu. There you can visit the cannibal kitchen site where human flesh was prepared and cooked and where the remains of long forgotten victims lie discarded and buried. Traditionally, the chief would eat the head of the victim and kept their skull as proof. When the first missionaries arrived in Vanuatu, the locals had never seen shoes being worn. It is said that they thought shoes were a body part and would boil them along with their wearer. But the leather took a long time to break down enough to eat; some say as long as 100 years! 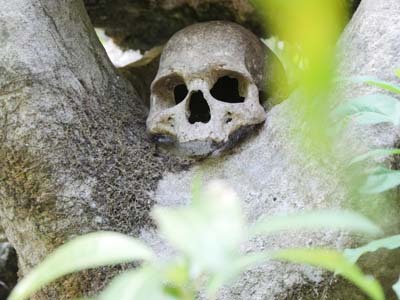 The skull of a victim of cannibalism on Malekula. Speaking of burial sites, there is none more famous in Vanuatu than the mass grave of Chief Roi Mata, his 25 wives and up to 300 followers. It became a world heritage site in 2008, after a partial excavation led to the discovery of 54 skeletons. Chief Roi Mata, born in the 13th century, was a paramount chief and hoped to one day rule the first Kingdom of Vanuatu. Jealous of his success at unifying many of the disparate islands, his brother poisoned him before burying him alive. Today, on Artok island (just off the coast of Efate) you can visit the site where this famous chief, and not long afterwards, his 25 wives and hundreds of followers were all buried alive. Last but not least, no article about Vanuatu’s dark history could ever be complete without a mention of its part in World War II. Used as a large army base during the war, the island of Espiritu Santo is now home to more relics of the past than any other in the Pacific. This is due to the fact that thousands of tonnes of military machinery and vehicles were dumped into the ocean before the soldiers departed for American soil. The site has now become a popular diving and snorkelling attraction and has appropriately been dubbed Million Dollar Point; purely because the value of the equipment dumped is thought to be in the millions. Whilst it remains an attraction not be missed (you can still find completely intact coca cola bottles from the 1940s), Million Dollar Point doesn’t qualify as a site for dark tourism. 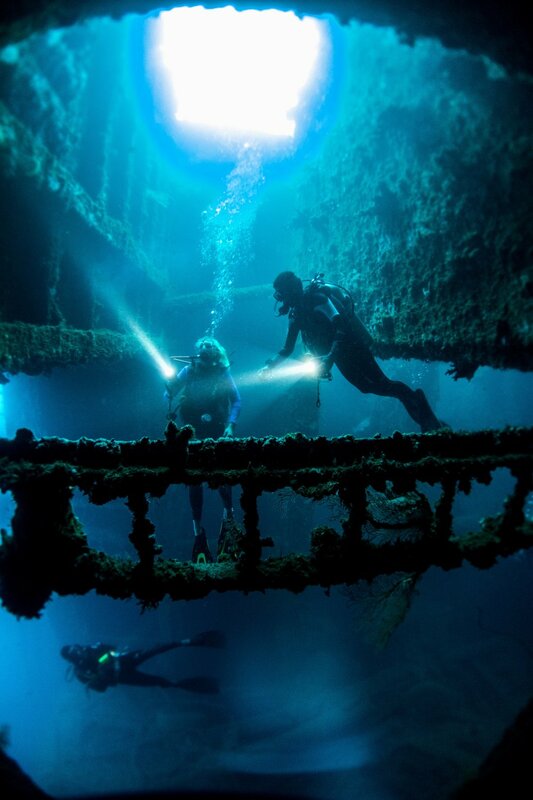 Diving the SS President Coolidge. The Coolidge on the other hand, a luxury ocean liner that served as a troop ship during WWII and sunk just off the coast of Santo due to mine fields, is by far the most commodified dark tourism attraction in Vanuatu. There were 2 casualties in the sinking, including the Field Artillery Captain who went back to rescue some of his men but was then unable to escape. An American recovery team arrived in February 2014, and working with local operators, they found Captain Euart's remains after 73 years along with his dog tags and personal items inside deep silt in the bottom of the wreck. Often deemed the largest and most easily accessible shipwreck in the world, the SS President Coolidge is now a world-class diving site. Vanuatu is far away for most people - except for those living in Australia or nearby Pacific islands - but getting there is worth it. As well as dark tourism, the islands offer plenty in the way of adventure, exploration, sightseeing, and thrill-seeking. It is home to numerous firsts, including the first ever bungee jumping or land diving at it is commonly called. Vanuatu’s tourism infrastructure is excellent, with plenty of accommodation options and tourism agencies offering their services. So if you’re after more than just an island retreat with everything from some of the world’s best beaches to a cannibal site tour then Vanuatu is the destination for you! A Chief from Malekula who performs black magic in the Tam Tam Garden Tour.